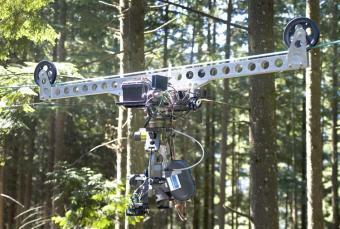 REDRAD was amongst the first to offer RED Digital Cinema cameras for rent in Vancouver back in 2007. Since then we have supported dozens of feature films and hundreds of commercials, music videos, indie shorts and student productions. We rent thoughtfully complete RED shooting packages with Arri matteboxes and follow focuses, O’Connor support, director's monitors and plenty of media and power. Red Epics with Dragon sensors are available now as well as Scarlet X. We offer both the MoVi M10 and M15 3 axis gimbals for handheld and remote head applications. We have a selection of PL lenses including sets of ARRI ZEISS ULTRA PRIMES and RED PRO PRIMES. Pairs of S3D matched ANGENIEUX OPTIMO DP zooms and RED PRO zooms. See Gear page for details. Redrad now offers 360 degree VR camera balls for rent in Vancouver for your next Virtual Reality production. 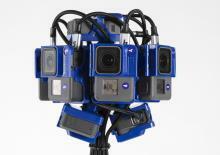 We have various VR camera solutions from 4K up to 12K resolution. We also offer 360 lab stitching services and Virtual Reality and Augmented Reality production consulting. 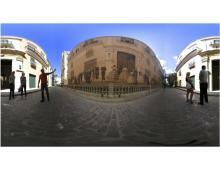 A demo real of some of our recent VR shoots can be viewed here. 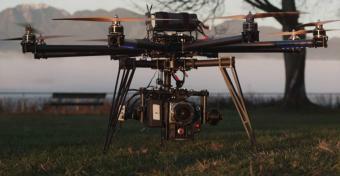 heavy lift octocopters flying one of our Epic cameras. You can also fly our RED cameras simply and affordably with our custom Rapid Aerial Deployment - RADCAM - remote controlled multi axis cable rig camera systems. REDRAD is in no way associated with Red Digital Cinema although we like and use their products.